A sleek clean way to mount your LED light bracket. No rack required. 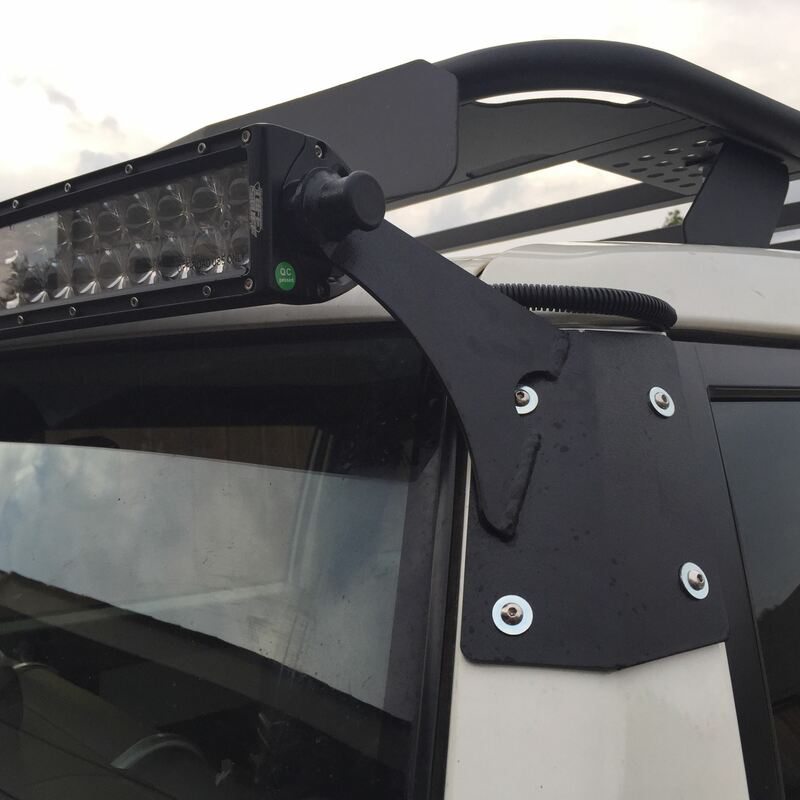 This will allow you to mount a curved 50" LED bar to the A-Pillar of your FJ Cruiser. As it mounts directly to the pillar no rack is required to mount. Custom modifcations can be made - such as needing to mount a straight LED bar. The Trail Toys EZView Mirrors provide a 35% greater field of view compared to your stock mirrors. These bolt-on mounts will help your rig slide over obstacles instead of bashing into them.